Trial Begins For Former Massey Energy CEO : The Two-Way Don Blankenship, 65, is accused of conspiring to violate safety laws at Massey mines. In 2010, a blast at the Upper Big Branch mine in West Virginia killed 29 workers. Massey Energy CEO Don Blankenship leaves a Senate Health and Human Services subcommittee hearing in Washington, D.C., on May 20, 2010, after answering questions about mine safety. Former CEO of Massey Energy Don Blankenship goes on trial Thursday in West Virginia over charges that he conspired to violate federal mine safety laws at company mines. As West Virginia Public Broadcasting's Ashton Marra reports, the charges stem from a 2010 explosion at the Massey-owned Upper Big Branch mine that killed 29 men — the worst U.S. mining disaster in 40 years. Blankenship is "one of the highest-level managers ever to face charges relating to mine safety violations," Marra says. He is also accused of lying to investors about the company's safety record at the Upper Big Branch and other mines prior to the blast. "Federal and state investigations blamed the blast on poor ventilation, high levels of explosive coal dust and Massey's history of safety violations. Prosecutors say Blankenship was a micromanager who threatened mine operators with their jobs if production levels dropped." Since the 2010 explosion, four former Massey employees who reported to Blankenship have been sentenced on charges related to safety violations at the mine or for conspiring to cover up violations: Thomas Harrah for falsifying a foreman's license and lying to federal authorities; former security chief Hughie Stover for lying to investigators and attempting to destroy evidence; superintendent Gary May for disabling a gas monitor and falsifying records, and former executive David Hughart for conspiring to warn miners of surprise safety inspections. 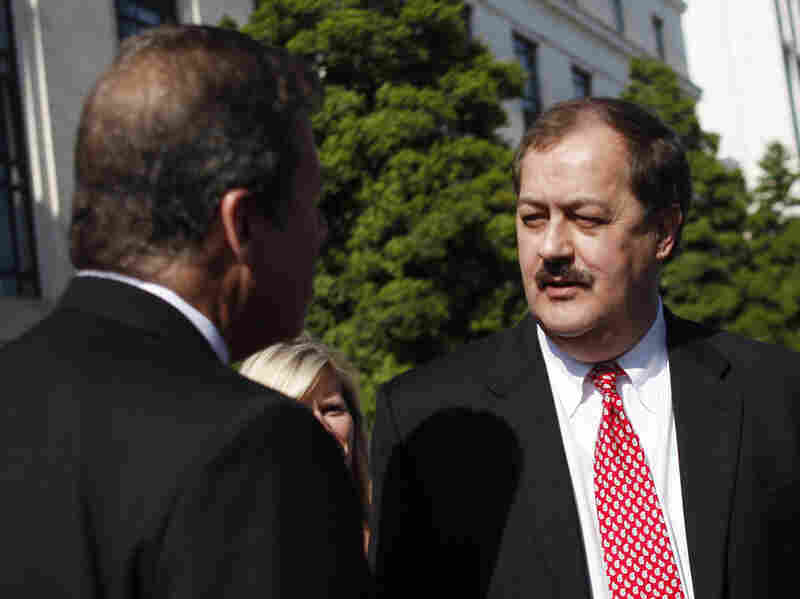 Prosecutors are expected to say that Blankenship closely managed almost every decision affecting safety at Massey mines. The defense is expected to point the blame at mine regulators. "Slapping a coal executive with the kind of charges Blankenship faces is rare.
" 'I'm not sure anyone can tell you that there's been a specific case where anyone had gone to the scope or the scale of what Blankenship's accused of,' said Paul Rakes, a West Virginia University Institute of Technology history professor who researches coal." Blankenship faces a maximum of 31 years in prison if convicted.